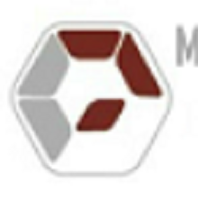 On Behalf of our reputable Client, Melva International limited is urgently looking for Erection Supervisor who will supervises and coordinates activities of workers engaged in construction of structural steel power plant. Responsibilities also include, but are not limited to, planning work, determining techniques to be used, and training of personnel in operation power construction equipment. Perform work in a safe and professional manner. Provide on-site supervision needed to clarify drawings and discrepancies;coordinate interfacing of various trades; provide quality standards and reject improper installation; and alert supervisor to potential problems. Direct work crews and advise supervisor of any personnel not performing according to procedures, policies, and schedules. Perform work to assist crew as needed and/or requested by supervisor. Become familiar with the project specifications and peculiarities and offer practical advice pertaining to the various project schedules and budgets. Review project progress, cost reports, schedules, and requirements for completion. Determine and recommend changes in methods, schedules, procedures, and improvements where practical on the project. Maintain a close working relationship with supervisor to ensure proper coordination of responsibility for the project. Notify supervisor of any subcontractor not performing according to specifications or schedule. Ensure proper paper flow of information from field to supervisor regarding delivery commitments, field dimensions, reports, and any other necessary correspondence. Ensure that all company policies/programs including, but not limited to Safety, Prohibited Harassment, Code of Ethics, and EEO are fully enforced at all times on the project. Ensures that equipment is properly cleaned, serviced and stored at the end of each shift. Coordinate and advise supervisor of equipment requirements. Ensure quality standards are maintained. Maintain a neat and orderly job-site and personal appearance. Maintain a positive work atmosphere by acting and communicating in a manner to get along with customers, co-workers and supervisors/managers. 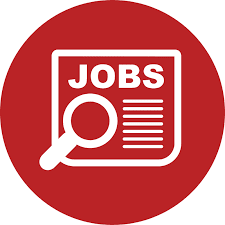 5 years’ work experience as an ironworker journeyman including 2 years in a supervisory position overseeing construction of petrochemical, power generation, industrial plants or similar heavy civil or public works construction. Strong understanding of structural steel erection, hoisting and rigging and related trades along with methods, equipment (i.e. cranes, lifts etc.) tools and work procedures. Ability to work independently, thinks, anticipate and plan work in accordance to established schedules and procedures. OSHA and other Health and Safety certifications are desirable. An equivalent combination of education, supervisory experience and related construction experience may be considered. Ability to manage and supervise other personal, tradesmen and lead staff is essential-this is a field supervisory role. Email: recruitment@melvahrconsultancy.com by 15th December, 2018.